I really would have expected to see a piece on the use of Minecraft in Education in the playful learning chapter. Minecraft has grown and grown in its use across all sectors in the UK and abroad. Minecraft Education Edition launched over 2 years ago and has a wealth of learning resources, lesson plans and activities supporting it and is having measurable impact. If you mention Lego, you have to mention Minecraft as it has the power to reach so many more people in a virtual learning context as well as in a f2f context. I myself have delivered many workshops in using Minecraft in education and have written pieces for the conversation on it. If you would like to reach out and discuss further, please do. I am one of the Microsoft Global Minecraft Mentors and you can find out more about the impact and reach of Minecraft in all fields of education from the Minecraft in Education website where you will also be able to see my profile as a Global Mentor. We’ve mentioned Minecraft in previous reports – in 2013 on Learning Through Gaming, and 2016 on Learning Through Video Games. The focus of the reports isn’t on specific technologies, but on the underlying pedagogies. I expect we’ll consider the pedagogies of Minecraft – such as learning through collaborative construction – in a future report, so we’ll be glad to discuss with you then. 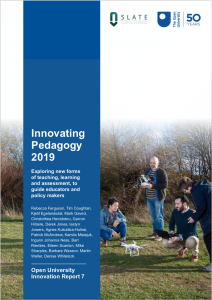 Welcome to the website for the Innovating Pedagogy reports. Please add comments on the 2019 report, and on the ten themes. 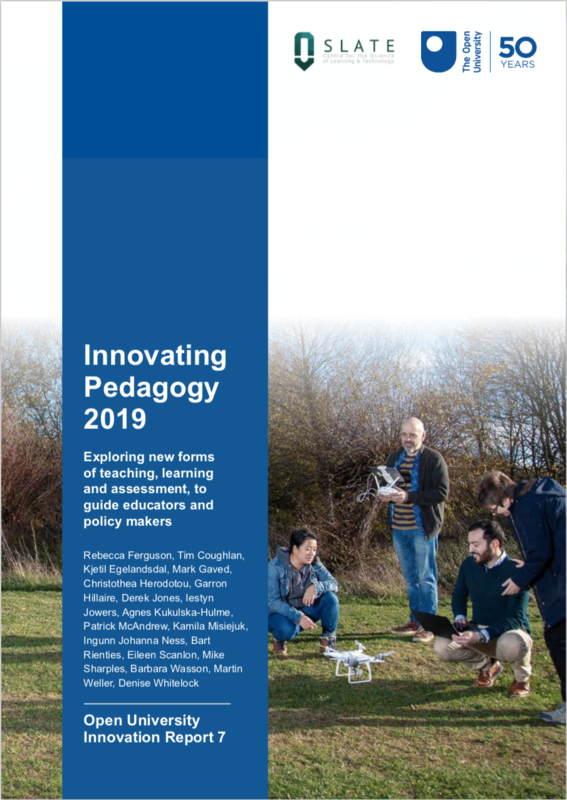 We’d especially like to hear if you’ve tried any of the pedagogies for your teaching – and if so, about your experiences.